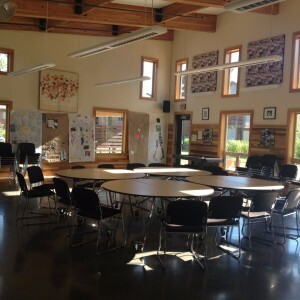 The Community Room at Bridge Meadows where most of the organizations activities take place. Hello everyone, I hope you are staying cool this week considering how hot it’s been! Once again my name is Megan Leon Guerrero and I am incoming Senior majoring in Social Work. I learned that one way I like to cool down during these really hot days is by taking a cold shower and stopping by 7-Eleven to buy a slurpee. The organization that I am interning with this summer is Bridge Meadows. Bridge Meadows is a multigenerational housing community that combines three populations: foster youth, adoptive parents, and low-income elders. 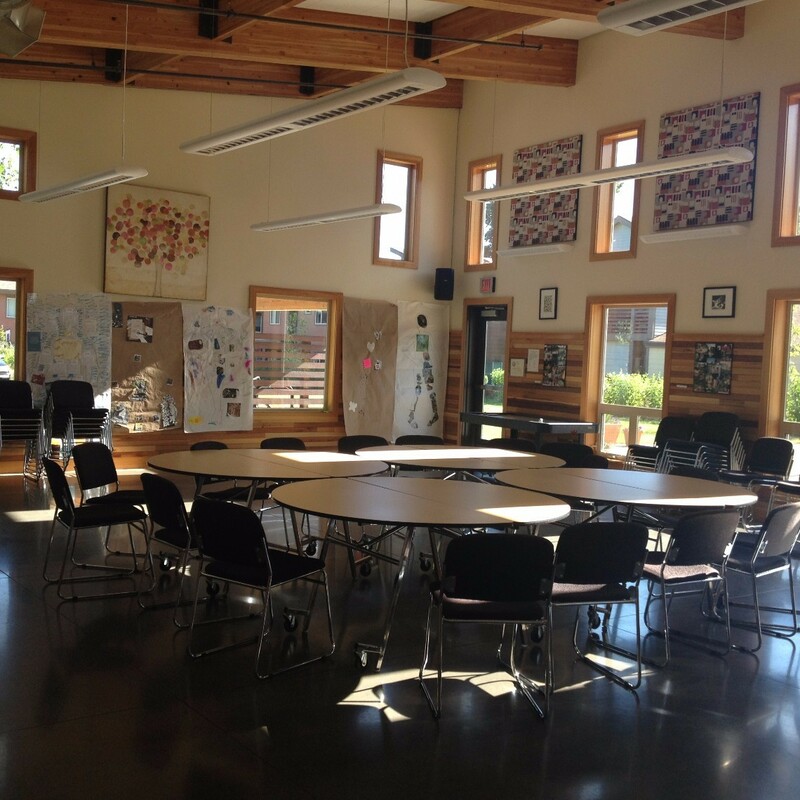 Bridge Meadows philosophy is community as an intervention, where in the three generations aid each other in living in community together and building meaningful social relationships which acts as a solution to fixing societal problems. While interning at Bridge Meadows I expected to be interested mostly in working with just the kids. However, as I have continued to build relationships with all the members of the community I found that I also want to work more closely with the elder residents of Bridge Meadows. Helping low-income elders find solutions to the problems they face in regards to their environment, such as their physical limitations, has become an important goal of mine. Each one of these residents has an important story to tell and learning about the different backgrounds they come from and how that has affected who they are now has been one of the biggest rewards of this internship. One of the ways I have come to know these elder residents better is by participating in the Wisdom Circle Wisdom Circle, which is a group class for older adults in which they talk about their experiences, feelings, and share the wisdom they have to offer over many years of hardships. The elders at the first meeting I went to had the chance to express their values. Particularly what values were most and least important to them. After listening to each elder share their values I observed that an important one shared amongst all them was respect. Respect is an important value to me as well and I thought about what it means to me in regards to social justice. I reflected that respect for me is valuing those around me who I work along side with and for, listening to them, and helping them in any capacity that I can. In social justice, however, I understand that at times there will be those who do not agree with a particular stance I take and will openly share their indifference in such a way that offends. In the past instead of standing up for myself in this instance I would choose to just stay quiet thinking that instead of disrespecting them I would just listen and absorb what I heard even if I did not agree with it. During my time as an Intern For Justice and helping and getting to know the elders and foster youth at Bridge Meadows I have come to understand that respect is truly listening to those around you and actively engaging in conversation with them. Respecting the opposing opinions of others and challenging them instead of attacking them. The wisdom I have received at this weeks Wisdom circle is that in social justice you will always encounter someone who comes from a different background or has a different opinion from your own. It is important to respect these differences while having the strength to challenge them and learn from others. Thank you for reading my post! I hope everyone has a good day and survives the heat.